The controversies of the World Cup underlined once more that soccer, the world's most popular sport, has become increasingly out-of-step with other sports in its refusal to accept video technology. FIFA, football's world governing body, continues to steadfastly resist all calls for video replays as a modern aid to referees. But the tide of opinion has slowly become a flood with polls now showing most players, coaches, fans and even referees themselves support its use and want to see FIFA finally embrace 21st century methods. Ironically, at a World Cup where referees probably performed better than ever before -- FIFA's own research showed some 96 per cent of decisions proved correct -- it was two wrong calls on the same day which changed the nature of the debate. England's goal that never was -- the Frank Lampard shot, which clearly crossed the German goal line -- and the Carlos Tevez goal for Argentina from a definite offside position against Mexico both happened on June 27th. Both decisions were blatantly wrong and seen to be wrong in countless video replays shown around the world. Interestingly, FIFA reacted to the Lampard non-goal but not to the Tevez goal, which has potentially much more far-reaching implications. 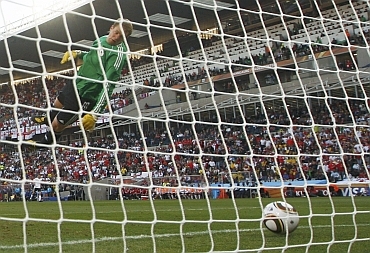 FIFA said it would look again at goal line technology, a process it had already rejected, but that it would not accept video technology. That decision is like putting a plaster over a compound fracture. The number of Lampard-type goals, shots that enter the net but which are not seen by officials and not given, are minimal in major soccer competition. Debatable goal incidents -- goals either allowed when there was a clear offside or another infringement, or disallowed when there was no offside or clear offence, happen every week -- but FIFA remains reluctant to address the more important issue. 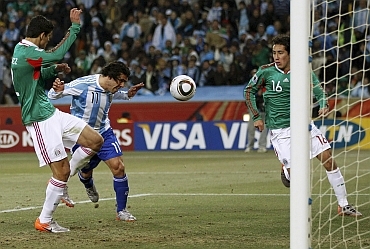 The Tevez goal was a great case in point as the replays shown in the stadium allowed all the spectators, players, the referee and linesman, not to mention millions of TV viewers around the world, to see that a mistake had been made. However, under present rules, it could not be corrected. 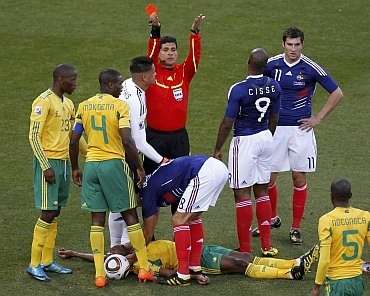 FIFA's response was to ensure that such replays would not be shown again in the stadium i.e. only the millions of TV viewers must be allowed to know about such mistakes in future. Those in the stadium should be kept in the dark. More importantly, the mistake should not be corrected. Other sports do use video technology to overturn wrong decisions -- both codes of rugby, cricket and tennis to name but a few. Argument against the introduction of technological aids are beginning to look a bit dated. That it would slow down a flowing game? Hardly - on-pitch arguments about controversial decisions would be quickly ended in the few seconds it takes for a video replay. Other sports have shown this. 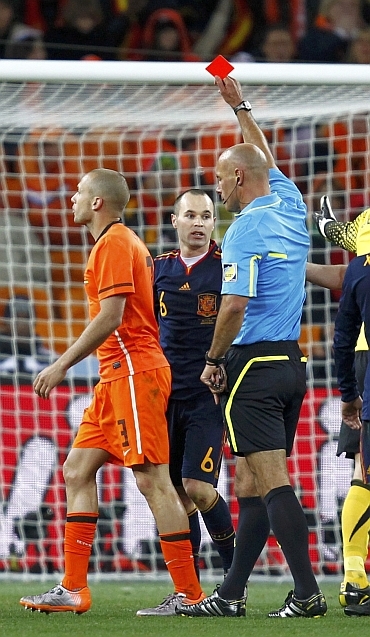 That it would undermine the authority of the referee? Not really. Does it help a referee that millions of viewers get the benefit of reviewing crucial incidents and that he alone cannot? That players make mistakes so referees must too? That is like saying judges should be allowed to sentence innocent people to prison as well as guilty ones. That sometimes video replays do not clarify the situation? True but then nothing is lost and the referee's original decision stands. If the old soccer adage that goals change games is true, then it could equally be argued that wrongly given or denied goals also change games -- unnecessarily. The means are there to correct mistakes, which distort the game. FIFA will get there eventually. It is just a question of when.